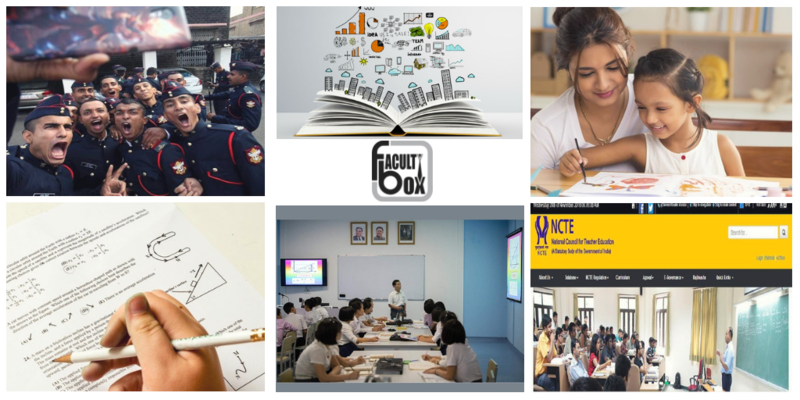 FACULTYBOX-WEEKLY is a weekly news bulletin that has been launched by Facultybox, providing top trending news and articles in order to help faculties and students to have an overview of important things happened during the week and Check out the top trending news regarding Samsung Smart Classes. VARC continued to be ‘the feel-good’ section and pattern remaining the same. The first slot had 34 questions with seven non-MCQ questions and No instructions were provided for the no.of questions in each passage. However, there remained five passages One of which had four while the rest had five questions each. The options were not really very close. Only 4-5 questions from RC were tricky. Students should have followed the POE (the process of elimination) as the options were not straightforward. One major change in the VA Section is that four subjective para jumble questions and all of these had four sentences each. There are 3 odd sentence para-jumble questions and questions were easier than expected. A student could have easily managed to get four questions correct out of the seven PJs (PJ and OSPJ). Students of classes 1 and 2 do not have to do homework, as per the directives issued by the HRD ministry to states and union territories today. The directives also mentioned the prescribed weight limit of school bags for each class. The HRD ministry has “instructed all the states and Union Territories to formulate guidelines to regulate the teaching of subjects and weight of school bags in accordance with the Government of India instructions”. “Members of our association to see to it that teachers regularly take classes and students also record regular attendance and We must ensure this,”. We must rationalize the process of recruitment first by ascertaining the exact number of vacancies in primary schools. West Bengal Education Minister Partha Chatterjee was speaking at a conference of ‘Paschimbanga Trinamool Prathamik Sikshak Samity’. Korean electronics company Samsung entered into a pact with the Andhra Pradesh government to set up ‘Samsung Smart Class’ in 14 government colleges. Which offer B.Ed and D.Ed in the state with 200 hours of the course curriculum. UNESCO-MGIEP is developing the content of the course. Future teachers will be trained to teach students with the help of the latest technologies. These help teachers adopt digital teaching technologies to bring in a behavioral and attitudinal shift for integrating new educational possibilities. The smart class will be equipped with interactive Samsung Smartboards, Samsung tablets, printer, and Wi-Fi connectivity. National Council for Teacher Education (NCTE) has launched a four years Integrated Teacher Education Programme (ITEP) to enhance the teaching profession in the country and Candidates who want to pursue this programme should pass Class 12 with 50% marks in it. The ITEP programme is a four-year programme that includes eight semesters, inclusive of field-based experiences, teaching practice and internship and the maximum time period to complete the programme is up to six years. The programme incorporates general studies comprising Mathematics and Science, Social Sciences and Humanities and professional studies comprising perspectives in education, other core education courses, curriculum and pedagogy of school subjects and practicum related to the tasks and functions of a school teacher. Doctoral degree holders from the top 500 foreign universities are now eligible for direct recruitment as an assistant professor in Indian universities, according to the UGC. Academic Ranking of World Universities by the Shanghai Jiao Tong University. This will help students learn from global talent in India itself,” a senior University Grants Commission (UGC) official said. Out of the 253 cadets — 48 students got degrees in science stream, 146 in computer science and 59 cadets in arts stream. 8 cadets from foreign countries got their degrees awarded. Academy captain Jaipreet Singh won the ‘chief of army staff’ trophy for standing first in science stream. CQMS Rishabh Gupta got the ‘chief of naval staff’ trophy for standing first in BSc (computer science). SCC US Ganesh bagged the ‘chief of air staff’ trophy presented for standing first in social science stream. We are in an era of digitization and technological advancements have an impact on almost every aspect of our lives and digitization are also visible in the field of education and Rote learning and reliance on printed material or book based learning are fast becoming a characteristic of the past.